The UK automotive industry has once again beaten CO2 targets, with average new car emissions down for the 19th consecutive year, according to a report published by the Society of Motor Manufacturers and Traders (SMMT) today. 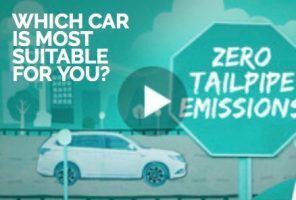 The annual SMMT New Car CO2 Report 2017 reveals that carbon tailpipe emissions fell to an all-time low in 2016, with new cars averaging just 120.1g/km. This beats the previous year’s record by 1.1% and 2000 levels by more than a third (33.6%). Average new van CO2, meanwhile, fell 1.9% to a new low of 173.7g/km, ahead of the 2017 deadline for the pan-European target of 175g/km. The reduction is thanks to billions of pounds worth of investment in new advanced engine, fuel and battery technology, as well as increasing use of lightweight materials such as aluminium and composites. The growing alternatively fuelled vehicle (AFV) market and the shift of consumers towards diesel cars, which emit on average 20% lower CO2 than petrol equivalents, have also been critical to this success. The industry has achieved tremendous gains, but changes in consumer buying behaviour away from diesel in 2016 have caused the rate of progress to slow. UK motorists registered a record number of diesel cars in 2016, but market share for this fuel type fell by 0.8 percentage points. Although the UK now has Europe’s largest market for zero emission capable cars, accounting for almost a quarter (23.8%) of EU electric and plug-in hybrid registrations in 2016, the growth in AFV demand has slowed, from 40.3% in 2015 to 22.2%. Furthermore, the preference for SUVs over smaller cars continues to make progress on CO2 reduction much harder. If these trends continue, the UK’s contribution towards the EU target of 95g/km average CO2 in 2021 will become tougher, requiring a 20.9% cut in CO2 emissions over the next five years, or 4.6% per year. Of great concern is the current anti-diesel agenda, which fails to distinguish between old models and the latest cleaner vehicles on sale and which could have a negative effect on future CO2 reduction progress. There are also fears that changes to vehicle excise duty (VED) from 1 April 2017 could have a further negative impact. Under the new system, two thirds (66%) of the AFVs currently on the £0 standard rate will be subject to an annual flat charge of £130, in addition to varying levels of first year tax. 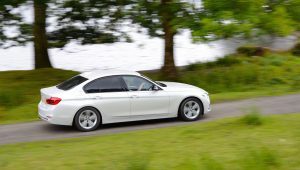 Meanwhile, a £310 surcharge for five years for cars with a showroom price of £40,000 could affect demand for some of the lowest emitting vehicles – which are invariably more expensive than conventional technologies. As a result, take up of innovative technology such as hydrogen fuel cell and plug-in hybrid vehicles could suffer. The Low Carbon Vehicle Partnership (LowCVP) is pleased to receive the latest report from the Society of Motor Manufacturers and Traders (SMMT) which provides a key piece of evidence in tracking progress on road transport decarbonisation. We need to see a ramping-up in the rate of take-up in the market for plug-in cars and other low emission alternative fuel vehicles (AFVs). These are critical technologies in the transition and some of the signals, such as the VED incentive to encourage consumers to buy lower CO2 cars, are being eroded with upcoming changes. Andy Eastlake, LowCVP’s Managing Director said: “Today’s report should come as an early warning to all stakeholders that while our focus on dramatically improving the air quality in our cities is absolutely necessary, we must not take our eyes off the ball in terms of carbon reduction. “We need to redouble our efforts to find the most innovative ways to encourage even lower CO2 cars to be taken up in the mass market by UK consumers and fleets. In the context of road transport, the climate change and air quality agendas are closely interlinked. The LowCVP is at the centre of this discussion and is working to help deliver policy guidance, market information and other actions that can deliver a ‘win-win’ outcome.